Offering you a complete choice of products which include two sided gazette bags with loop, loop handle bags, colourful loop bags and fancy loop bags. 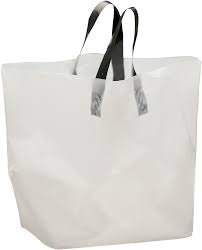 We are one of the leading manufacturers and suppliers of Loop Handle Bags. Our product range is aesthetically designed and developed using quality material by our experienced professionals. These products are provided in different shapes, colors and sizes and are appreciated for their strong loop handles for comfortable carriage. 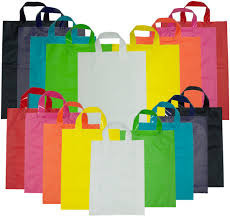 With our motive to satisfy our customers, we are occupied in providing Colourful Loop Bags. The offered bag is crafted using high quality raw-material and the latest technology in conformity with the international standards. We are offering this product in several options and colors that meet current market demand. Apart from this, our clients can acquire this Colourful Loop Bags from us at reasonable price. 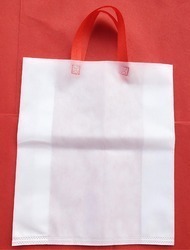 We are a leading organization, which is engaged in delivering a superior range of Fancy Loop Bags. 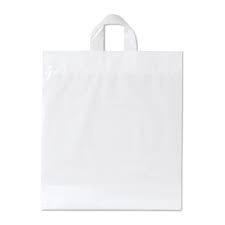 The offered range of corner loop bags is available in different customized specifications such as shapes, sizes and allied in strict compliance with the industry laid norms and standards.